Ansonia Mayor David Cassetti selected Norwalk School Supt. Steven Adamowski and four others to serve on the Ansonia-Derby School Regionalization study committee. The Superintendent of Norwalk Schools is one of 10 members appointed to a committee to study the regionalization of Ansonia and Derby schools. Steven Adamowski, a lifelong Ansonia resident, who oversaw changes while serving as superintendent in Hartford and Cincinnati, was appointed as one of Ansonia’s five representatives to the committee. The others from Ansonia are Aldermen Lorie Vaccaro and Joseph Jaumann and Board of Education Members Tracey DeLibero and John Izzo. Derby’s Board of Aldermen appointed James Gildea and George Kurtyka both Board of Education members, Alderwoman Barbara DeGennaro, who is also a lawyer, Tara Hyder, who with her husband is involved in Derby youth sports and Ron Luneau Jr., who lives in Derby but teaches and coaches at West Haven High School. “I think we’ve got a good group of people who will look at both sides of the issues,” said Derby Mayor Richard Dziekan. 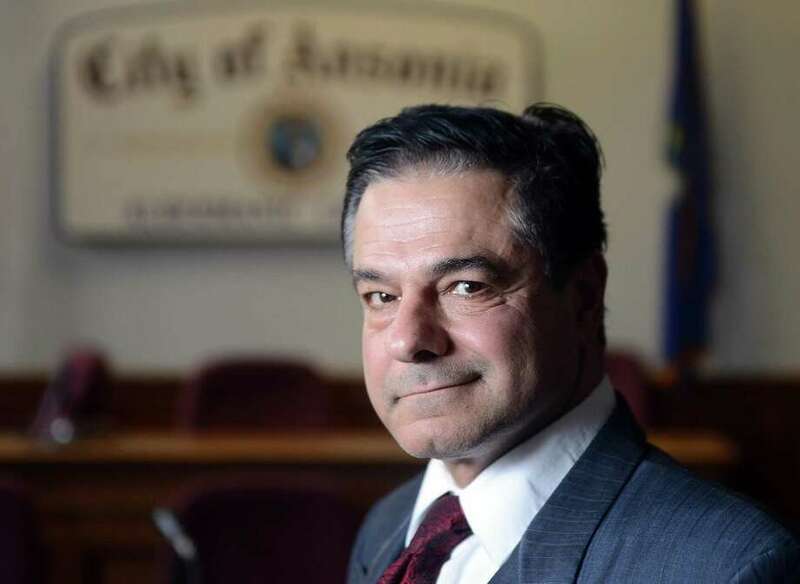 Ansonia Corporation Council John P. Marini was especially grateful that Adamowski agreed to sit on the committee. Joseph Jaumann, a Bridgeport lawyer and Ansonia alderman who is running for the 104th state representative seat which includes all of Ansonia and part of Derby, said the next step is for the state board of education to appoint a facilitator. The two committees also would hire an administrator, who would keep track of the discussions and help with the report. “Since both Ansonia and Derby are part of the ACES system I expect them to help us with the administrator,” Jaumann said. He also said he has spoke to State Sen. George Logan, R-Ansonia and State Reps. Linda Gentile, D-Ansonia; Themis Klarides, R-Derby and Niole Klarides-Ditria, R-Seymour whose district includes Derby, to help find funding. Marini said the meetings will be open to the public but he was unsure how much public input there would be while the committees were discussing areas of consolidation. Combined Ansonia and Derby have about 32,000 residents and just around 3,800 enrolled students. As for Adamowski’s presence, Jaumann said he brings the experience of having worked in large districts and was able to bring about change. “When I heard he agreed to serve, I was excited,” Jaumann said. Prior to his Norwalk hiring in 2015, Adamowski served as a special master for the State Board of Education. He was assigned to the underperforming Windham and New London school district which were taken over by the state.